Once again a dictator comes on the scene with his lackeys. They demonstrate their brutality and begin the war. The works of mankind are destroyed. And no-one wants to live any longer with the exception of a flower. This flower awakes in the girl and the man in joy in living again. Young girls and boys dream again. and find new ways of splitting the atom. Jugglers entertain the people. People meet in the market-place. The dictator appears with his lackeys and opposes the democrat. They showed how powerful they were. This time everything was destroyed. The last to die was the flower. 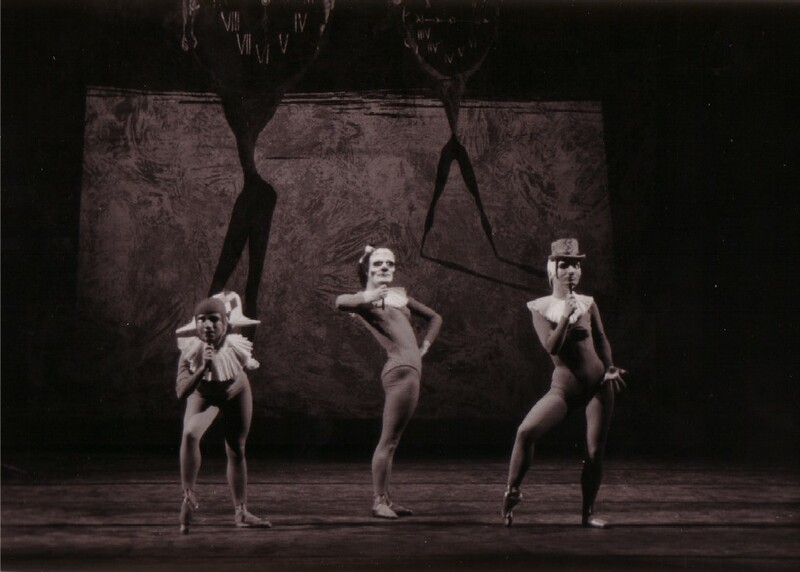 "The Last Flower" by James Thurber is the basis of the ballet. It is a satirical story in pictures which shows with penetrating clarity that mankind has not become wiser with experience and has learnt nothing from history. They have not succeeded in breaking out of the recurring cycle of war, new hope, rebuilding and the return of war. The workings of power with its dangerous tendency towards autonomy are demonstrated in this work. The next wave of destruction could be the last one. 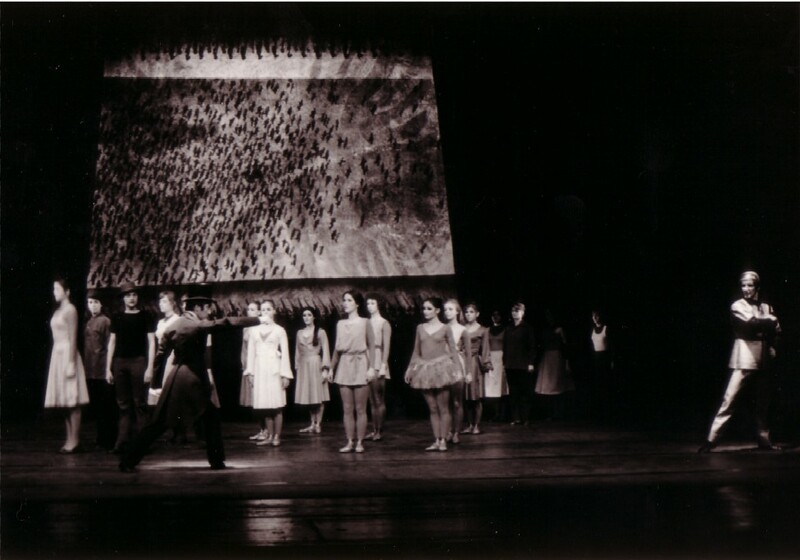 In 1974 I was given a commission by the Municipal Theatre, Würzburg for ballet music to James Thurber’s parable in pictures, "The Last Flower". James Thurber (1894-1961) enjoys a reputation in the USA similar to that of, for example, Wilhelm Busch in our country. Kurt Kusenberg has aptly described the contents of the parable as follows. "The Last Flower" is a melancholy parable of the meaninglessness of history. Destruction and construction alternate in an endless chain, and the reason why war is being waged is afterwards forgotten. The picture book begins with a catastrophe, it shows mankind, which "has once again escaped the worst", as miserable, naked, apathetic creatures, with no knowledge anymore of love, beauty and hope; it shows the reawakening of joy in life, the new beginning, building work - and it ends with the next, more far-reaching catastrophe. One could consider the parable to be the most profound pessimism, yet there is a seed of optimism hidden in it: the belief in something indestructible, the belief in the flower. The last human beings of yesterday are at the same time the first humans of tomorrow. The one flower which escapes total destruction becomes the ancestor of a whole new flora on Earth. In this story in pictures, Thurber, whether consciously or unconsciously, gives us a profession of faith: his faith in mankind is a tiny but decisive grain greater than his despair over its folly. In my version, however, the faith in mankind has dwindled to a minimum and has given way to despair over its madness. 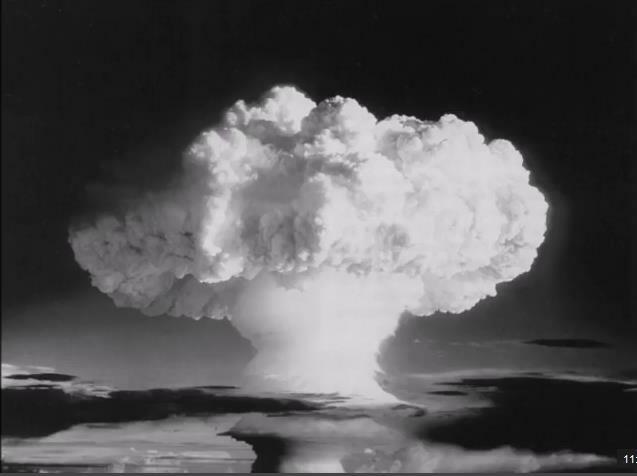 It marks the end of the round dance and confronts us with a warning for our times, in which we are threatened as never before by atomic annihilation. 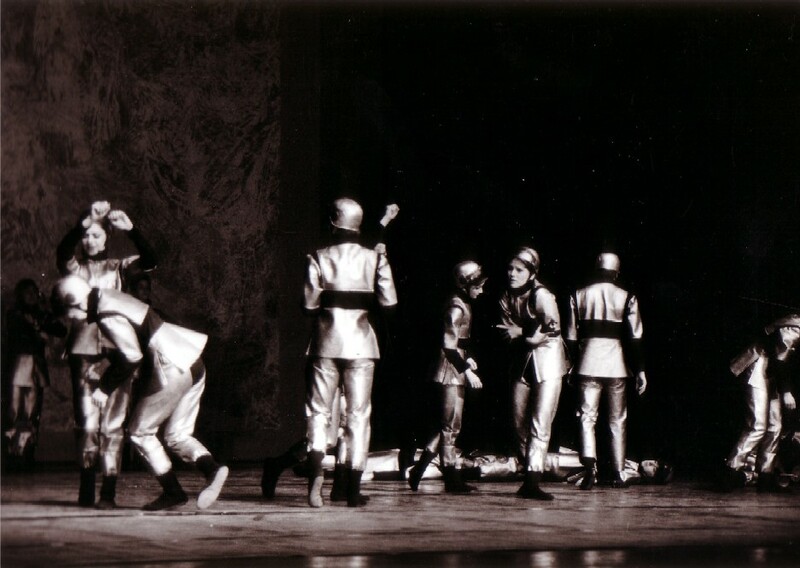 Despite the large measure of stylistic unity guaranteed by the unmistakable signature of Bertold Hummel, the music for the ballet "The Last Flower", tied closely to the action on stage, contains strong contrasts. Stamping military marches - childlike games, mechanical, automatic precision - delicately flowering filigree sound textures, to mention here only the most striking contrasts, leave no room for misunderstanding. 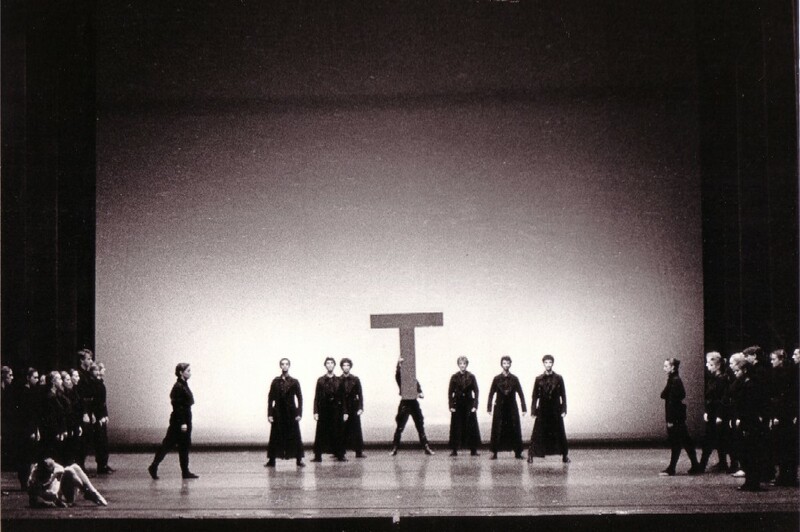 They have a clear relationship to the dance on the stage and are spontaneously recognised as symbols for characteristic archetypes of human behaviour. The principles of the composition are however much more complex and are in no way limited to such immediately obvious echoes of the events on stage. 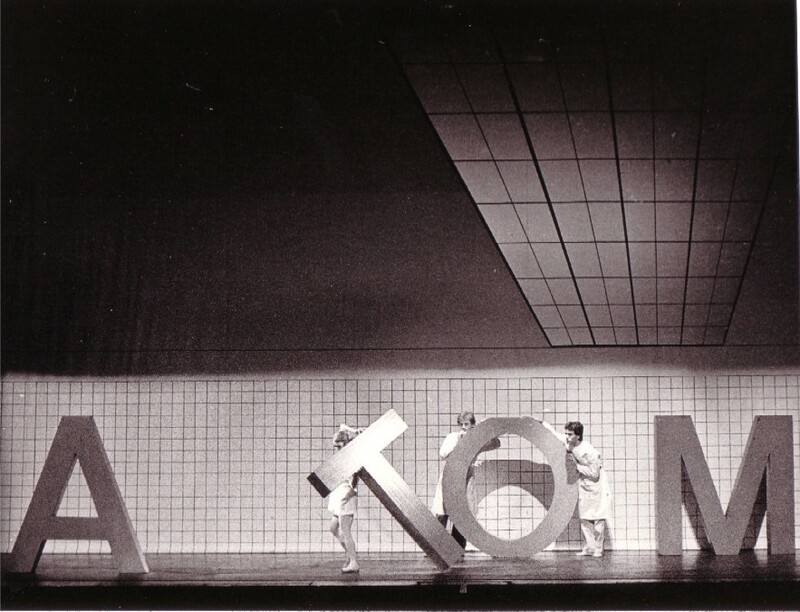 Seven movements - some complete and homogeneous in themselves, some subdivided into sections - follow the dramatic plan and connect its phases with purely musical means, resulting, despite the determinate nature of the stage action, in a high level of symphonic and concertante independence. 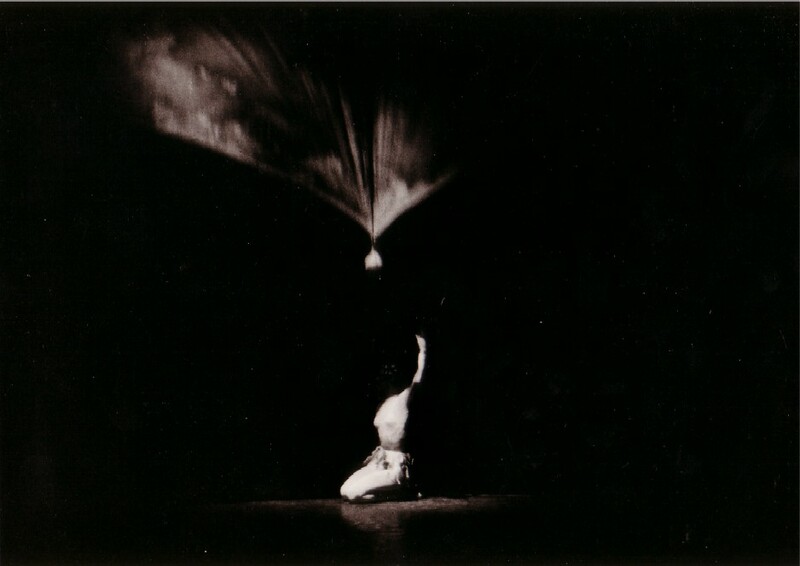 The first movement, Movimento infernale and Pas de deux is the exposition of the tensions of the subject matter means of a large-scale antagonism. After the opening mounting waves of sound, in which all twelve notes of the scale are heard simultaneously, the principal interval of the work, the tritone E - B-flat, is hammered out with biting penetration, which soon finds itself in the company of one of the two most frequently recurring themes. This theme, characterised by tritone layers and military-like rhythms, appears whenever the action is centred on violence. Its first appearance marks the first entrance of the dictator, accompanied by fanfares in the brass, these sounding in successive layers of pure triads until the full range of chromatic notes has been reached and the sound becomes more and more densely discoloured in itself. Below all this, the identifying theme of the dictator continues to sound in different transformations. After a few bars, the motifs of the dictator’s lackeys are added. Quasi-tonal fragments, such as dominant fifths, are woven into the strongly chromatically coloured material and always bring with them a certain tinge of triviality whenever empty officiousness and thoughtless convention are referred to. After the presentation of power reaches a climax in this way, there starts - musically considered, almost the first development phase - a representation of a battle based on the already introduced motifs and sounds; the rhythmic and melodic details become frayed. There is an anticipation here of an effect which attains virtuoso levels in the sixth movement: as the feuding troops march into battle positions, several phrases of different periodicity are imposed on each other and form a very densely woven texture. In bizarre alienation, the tumult freezes after a climax and from behind the stage, from another world, so to speak, as a complete antithesis to all that has been up till now, the flower theme is heard. The vibraphone answers from the orchestra and, in a dialogue with the flute, leads the almost transcendental vision into the real world. This is also the introduction to a Pas de deux, the gliding and increasingly animated dance of two lovers, a dance which - twice set in motion by the flower theme - neutralises the biting intervals of the main theme by re-ordering them as leading notes and creates a space to be filled with the brighter sound world of pure triads. This space grows and is transformed, although always remaining transparent in sound, in the following Scherzo. Here the melodic ideas have to do with dance and childlike naivety, characterised by thirds and perfect fifths, ending in major and thus creating an internal connection with the following movement. Pure triads dominate the Notturno, the third movement. Main theme and counter-theme are transformed with lyrical delicacy, are altered and interwoven with each other, taking role traditionally fulfilled by the slow movement in the organic relationships of a symphony. There is an abrupt transition from the idyllic complex of this movement to the Danza of the populace, a seemingly optimistic movement carried forward by trivial and banal melodic and rhythmic ideas, which go through further development in the collage of the sixth movement but at this moment cannot be linked to the main themes of the work. These themes are however very evident in the fifth movement, an Intermezzo meccanico. While the flower theme only appears once as a kind of fleeting vision with all the effect of a disturbing foreign body, the main theme appears constantly in characteristic transformations, the originally agogic idea receiving more and more a carefully calculated, coolly rational treatment. In accordance with its title, the Intermezzo makes particularly intensive of a compositional technique whose influence is not absent from the rest of the work - serial composition - in a deliberately mechanical way, making it a symbol of cold calculation. An effective contrast is provided by the Mascherata, in which the circle back to the first movement is closed. With increasing inevitability, one musical profile begins to emerge from the highly artificial superposition of different layers of sound, the profile of the dictator, which remains alone after all other themes have fallen silent. All other themes, whether quoted from earlier movements or newly added, the barrel-organ theme, the dance theme, the democratic theme which derives from the flower theme, everything that accompanies the main theme or takes up position against it, all fall back make room for the dictator, who in the Finale in a condensed reprise of the Movimento infernale continues his development of the power demonstrated at the beginning. Brief and resigned is the feeling of the reminiscence in the flute cadenza, before an atmospheric curtain of string sound descends with increasing weight on all that has happened and extinguishes it. BERTOLD HUMMEL tells with the story of his ballet "The Last Flower" (from an idea by James Thurber) a compact, impressive and deeply unsettling story and shows thereby an uncommon talent for graphic and theatrically practicable conceptions - from the details of dramatic gestures of dance to the contrasting accents of the musical backgrounds in varied scenes. Ballet director ERICH PAYER found here the ideal basis for his effective choreography, with which he gave an immediate and appropriate concrete expression to the favourable starting material. A power-crazed dictator annihilates everything in a devastating war. "The Last Flower" rises again, delicate and fragile, her shy gracefulness giving two lovers courage. Children begin to play again. Houses are built. Boys and girls dream of happiness, the work of the inventors resumes. Artists warn in vain. One of the scientists, a woman, makes a discovery. Between the three letters "A-O-M" (symbol of far-eastern invocation of the divinity), she fits in the letter "T" and discovers the ATOM. Under a presentiment of its misuse, she drags the "T" away like a cross, but the dictator tears it away from her and uses it for his war of destruction, which this time no-one survives. Before the background of an atomic mushroom, the last flower dies - twisted and distorted. The Augsburg audience appreciated fully the outstanding performances of all concerned in this memorable evening. Thunderous applause and bravo calls conveyed their spontaneous thanks. "The Last Flower" turned into an exciting warning on a subject which is otherwise usually known for its platitudes. Hummel’s music, totally in the service of the action on the stage, is colourful, full of effects, unambiguous and powerfully striking in the real sense of the word. Five percussionists are included in the orchestra, to give the required explosive quality to the annihilating attack on the human race (at the beginning) and to the atomic war (at the end). Electronic sounds are built into the score. When the subject is the monotony of work or hectic activity, he conveys this with serial technique. Neat contrast effects are a feature of the "Scherzo", of the playing children who - a charming idea in the following "Notturno" - are at once changed into dreaming girls. Comical rather than terrifying is the battle of the woman scientist for her atom which the dictator man finally succeeds in tearing it away from her. "The Last Flower", furnished with Hummel’s extremely impressive music, was given a very lively reception by the audience. Bertold Hummel’s composition is modern in the best sense of the word: it is not content to provide us with harmonies, it also shows the brokenness of the modern world within the framework of a rich palette of colours. This music is effective on stage, has a powerful message and has substance. The readily comprehensible music proved, above all in the strongly illustrative dramatic scenes, to contain magnificently powerful colours. ... a success which is all the more remarkable because the audience is hardly accustomed to modern music. This is due in no small measure to the musical composition, which, without making any compromises in the choice of musical means, possesses a high degree of persuasive power. If one seeks to place Hummel’s musical style, definitions become difficult, for it follows several mutually exclusive directions. But it becomes clear, if one is prepared to think about the social relevance of the means employed, that there is a particular purpose connecting these. Thus, serial technique is employed in artistic perfection where the figure involved personifies cold-hearted and calculating, here one who has discovered a new wonder-weapon of total destruction. Trivial materialistic thinking is suggested by blatantly imposed tonic-dominant relationships and popularly appealing rhythms wherever the uncritical attitude and unfounded optimism of the masses is represented. This work, which succeeded convincingly and spontaneously at its première, - there was not a single spectator who remained untouched by the earnest message and the artistic charm of the performance - should now make its way across our stages to demonstrate its solidity. It certainly has everything needed to achieve this.